Welcome to Mac’s Automotive & Radiator Repair of Bend OR! 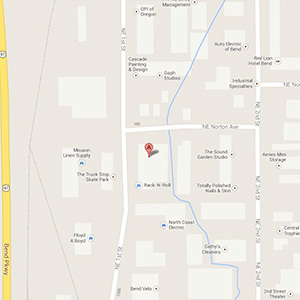 Mac’s Automotive & Radiator Repair location in Bend, OR is conveniently located off of Highway 97 in the heart of town. We are a family owned and operated business and have had three generations of ownership since our opening in 1947. Not only do We specialize in radiator/cooling system services and repairs, but we are well known in Oregon as the authority on auto repair and vehicle maintenance. We are proud to say that no matter what you need, from oil changes to brake repair, you can bring your vehicle to us and we can do it all! The growth and success of our business is due to the loyal customers we have in Bend. Auto repair and services are our business, but we pride ourselves in taking great care of each and every customer we have. We have the expertise to work on all vehicle makes and models, including foreign, domestic, vintage, and heavy duty vehicles. For more information, give us a call today at (541) 382-6963. We look forward to seeing you!